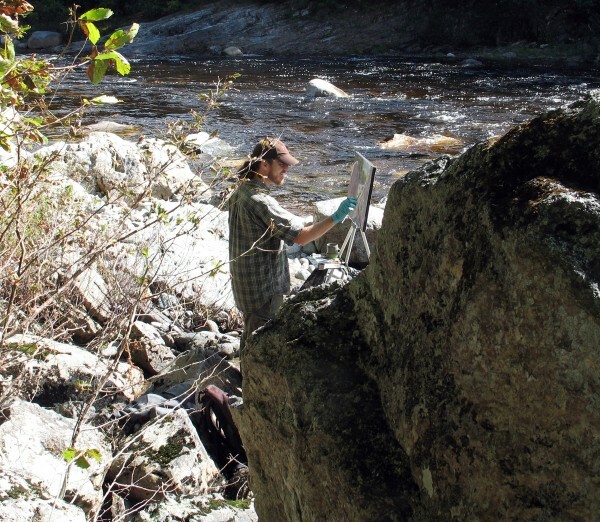 "When I go out plein air painting, I like to think from a hiker's point of view and to really get down into it," said Branca, who climbed down a steep slope and propped his canvas between two boulders in order to paint his composition as close to the stream as possible. "In terms of being part of a group, that's something I don't usually do, though I do often put on a backpack with my stuff and go out painting. 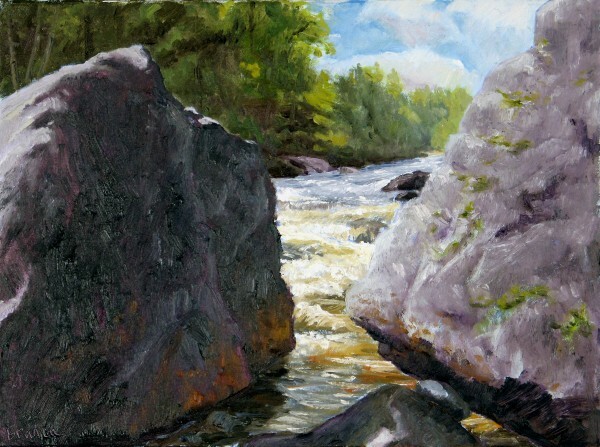 I was painting on the top of Katahdin two days later."